Almost all of my female friends have one thing in common: trouble organizing their jewelry. Truth be told, I think that’s a problem just about every woman has. I’ve often tried to help them by buying them a jewelry organizer for their birthday or other celebration. And that’s great, but you can also make one. Now, for all the ladies out there, and for the gentlemen who want to help their partners, read up. 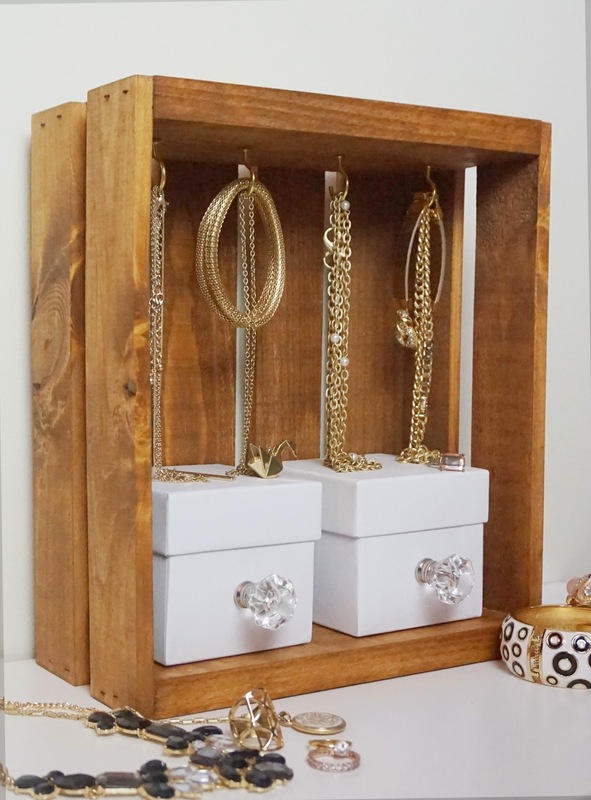 I’ll give you several easy projects that will eliminate the mess in your jewelry box. Say goodbye to the clutter, and live a mess-free life. At least when jewelry is concerned. One of the biggest problems with your messy jewelry box is that you can’t see all of your jewelry. And because you can’t see all the pieces, you can’t decide what to wear. This display crate takes care of that problem. With all your pieces displayed, you can easily find the one that’s appropriate for the occasion and your outfit. I’m fairly certain that you’ve seen ring boxes in a jewelry store before. All jewelry stores have them; it’s how they store their rings. 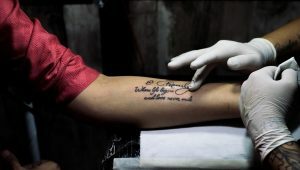 So why don’t you do the same? After all, stores are always organized. You can be organized as well. 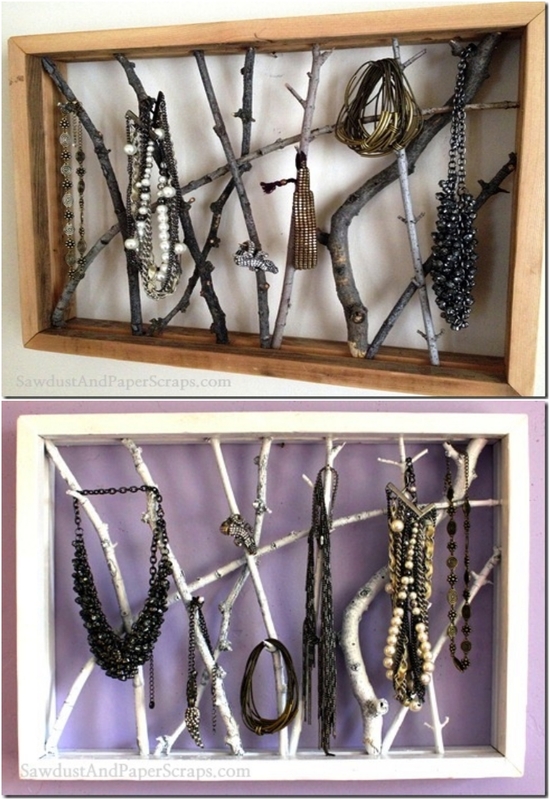 I must say, using wood and branches for your jewelry holder looks a bit dark and Gothic. But it is practical and functional. And besides, if Gothic style is your style, go with it. In my humble experience, I’ve come to understand that the best way to store your jewelry is to let it hang (which is the way it’s displayed in many stores). 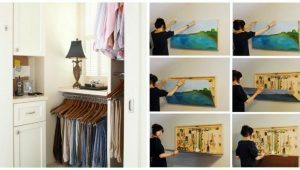 Another good idea to mimic at home! If you want to get a bit fancy, a chandelier is a great option. 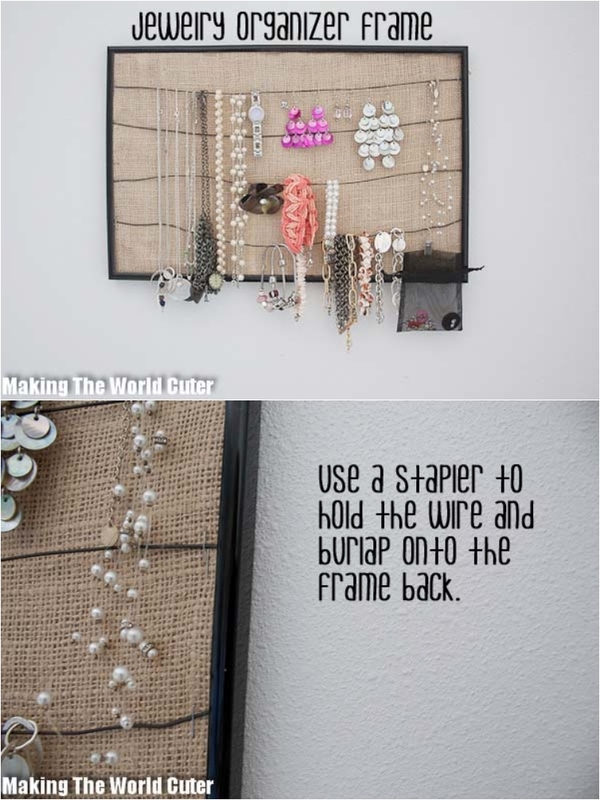 In addition to keeping your jewelry organized, this DIY project will also add flair to your room. 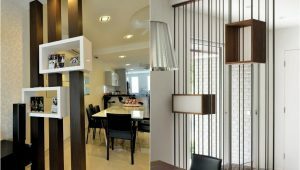 You can always enrich your interior with a funky and cool chandelier. Why not make it a jewelry chandelier? For your bangles and bracelets, this holder is the best option. You can transform your child’s toy or you can make it on your own. In either case, you’ll have three stands. I recommend you divide your jewelry in three groups: formal, casual, and black. 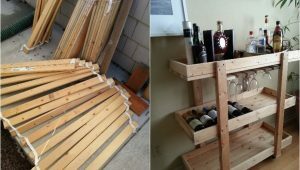 One of the best aspects of DIY projects is that you can make them out of anything. And in most cases, you recycle things that you no longer need. 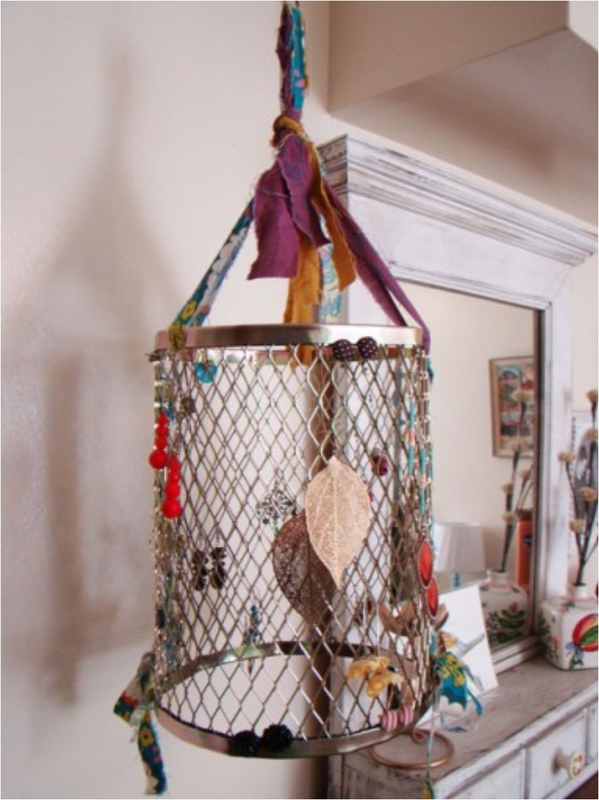 For example, why throw away that plastic bottle when you can turn it into something beautiful and practical? Just saying. 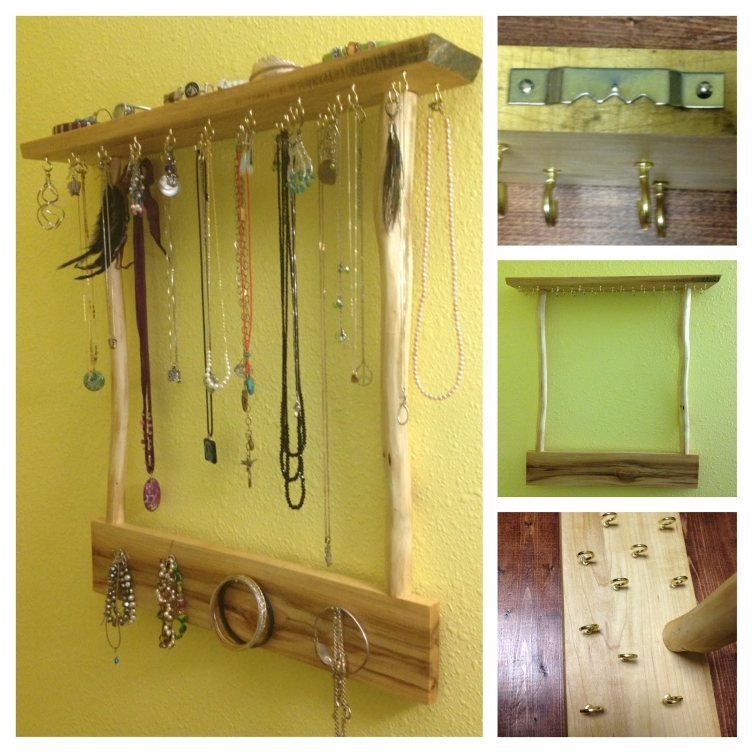 We have another great jewelry display that looks stunning even without any jewelry on it. 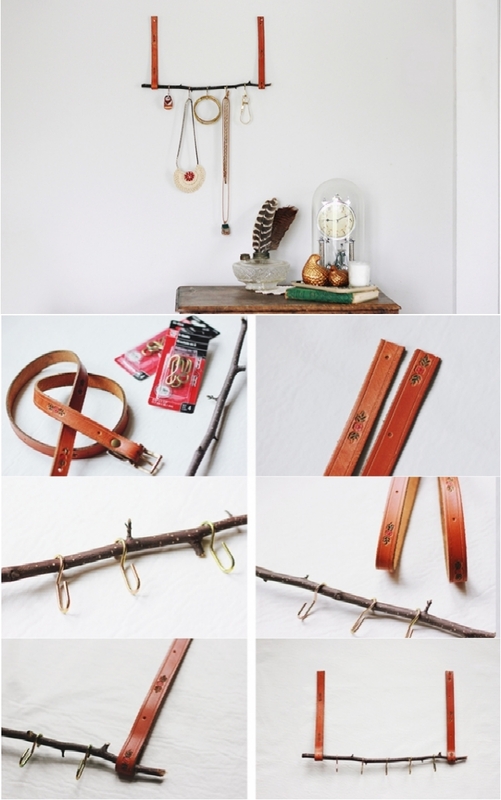 I love it when jewelry holders are not only practical, but actually look good. 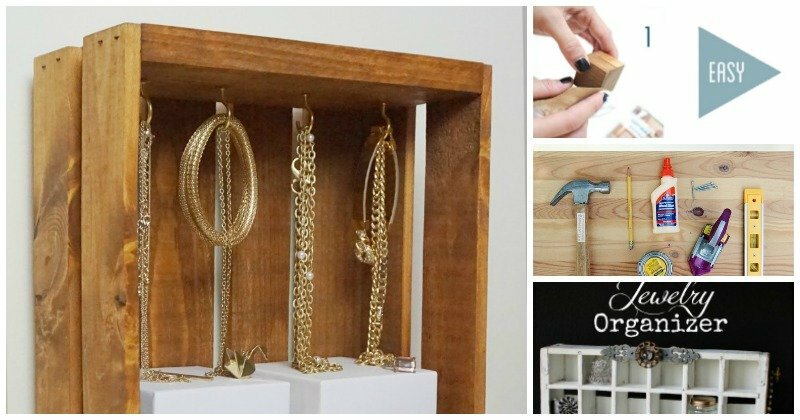 You get a 2-in-1 project: a holder for your jewelry, and something to enrich your interior. Good stuff. Let’s go back to the basics for a moment. When you want something minimalistic, simple, and elegant, these blocks are perfect. Of course, the downside is that you can’t place too many pieces of jewelry on it. Overcrowding the blocks will make them look ugly and distasteful. Remember when we were children, and we pinned everything on a board? 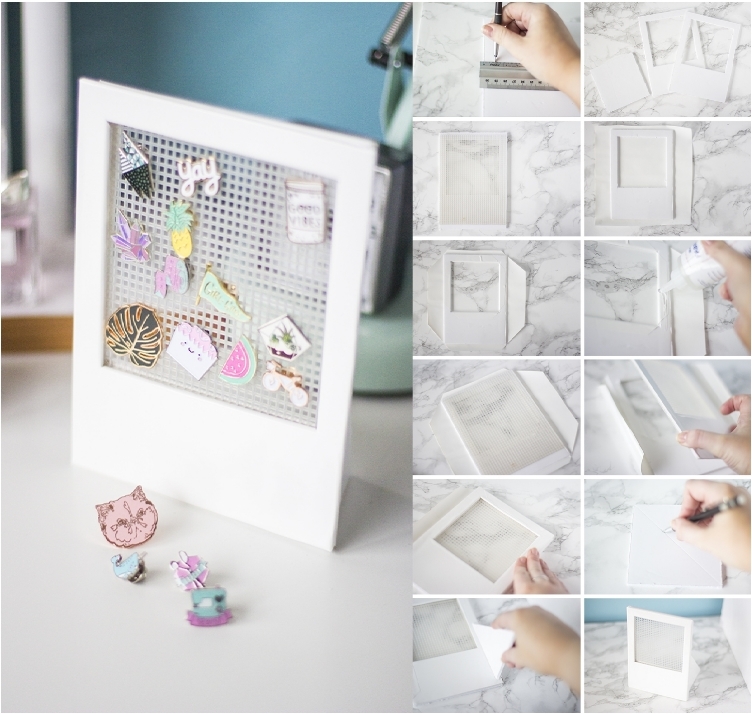 Those little pinboards we had at school and in kindergarten? 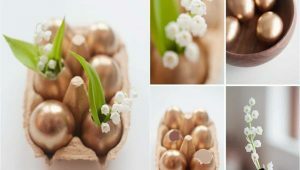 Well, you can now use something similar for your jewelry. 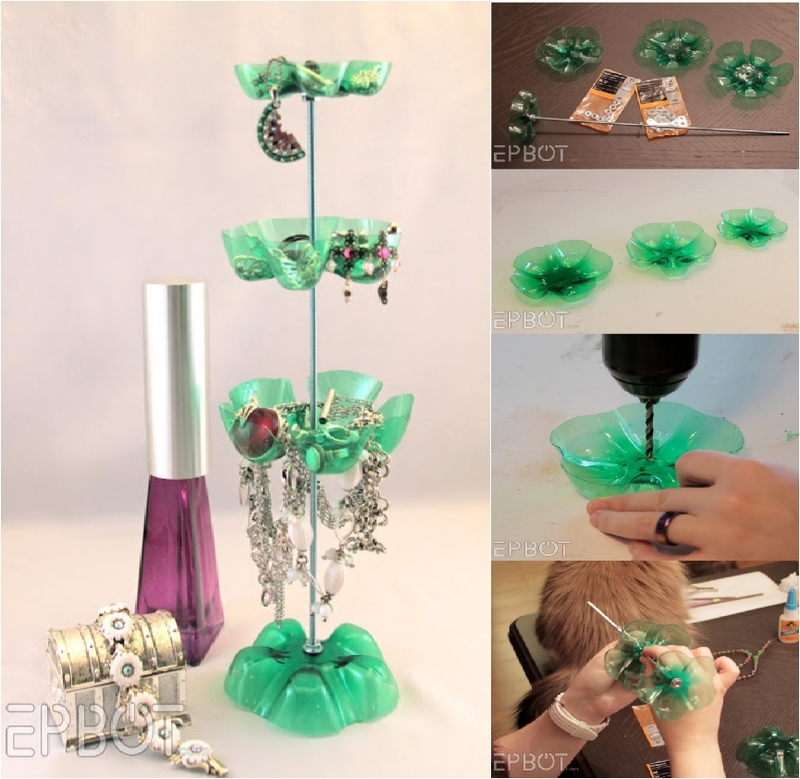 Stylish and practical, this project is great for your earrings. Another great earring project, very similar to the Polaroid one. 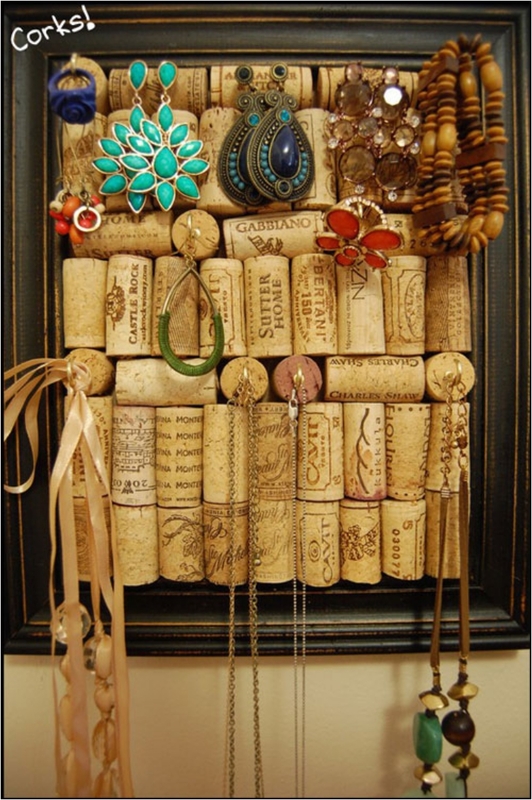 And while that one had pin frames, this one uses a different scheme for keeping your earrings organized. On a side note, this project is lot bigger and holds many more earrings. Who doesn’t have a box of cereal at home? An empty one, of course. Use that box to create something magical. And I’m not talking about a delicious breakfast; I’m talking about a practical way to organize your jewelry, be it bracelets, earrings, or anything in between. 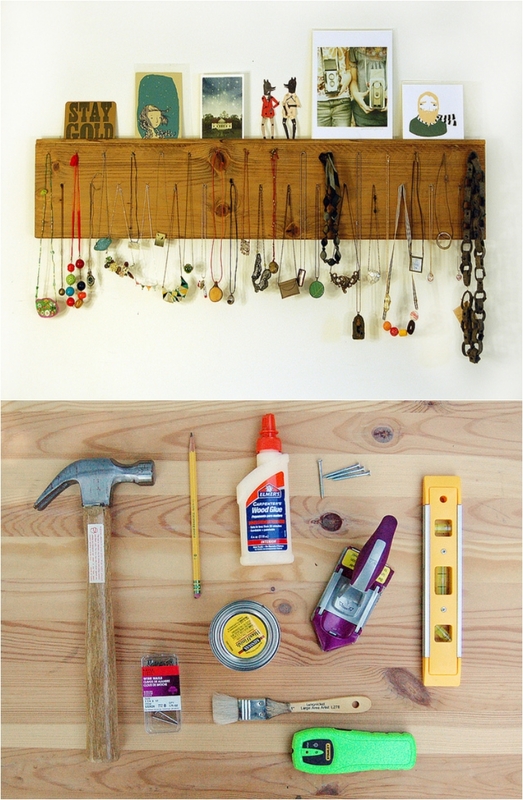 This is one of the simplest and easiest ways you can organize your necklaces. I actually made something similar for a friend of mine (of course, it was a bit smaller). 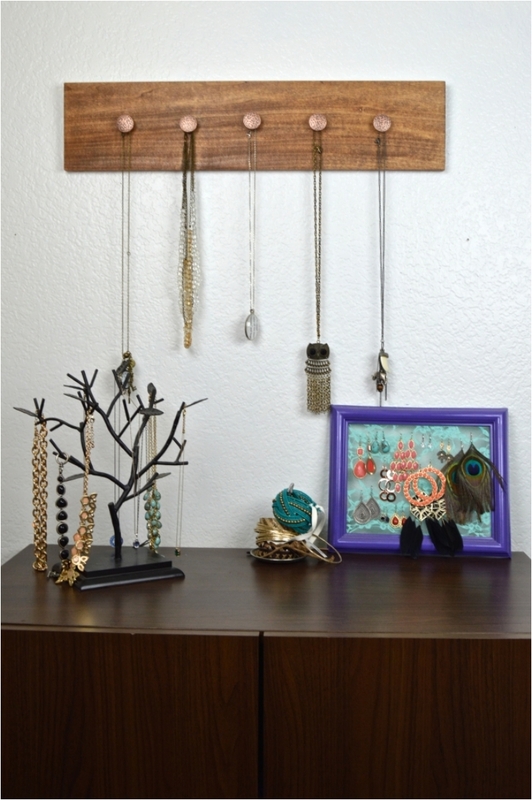 This display serves two purposes: you can hang your necklaces on it and place some books on top of it. So it’s a shelf and a jewelry holder! 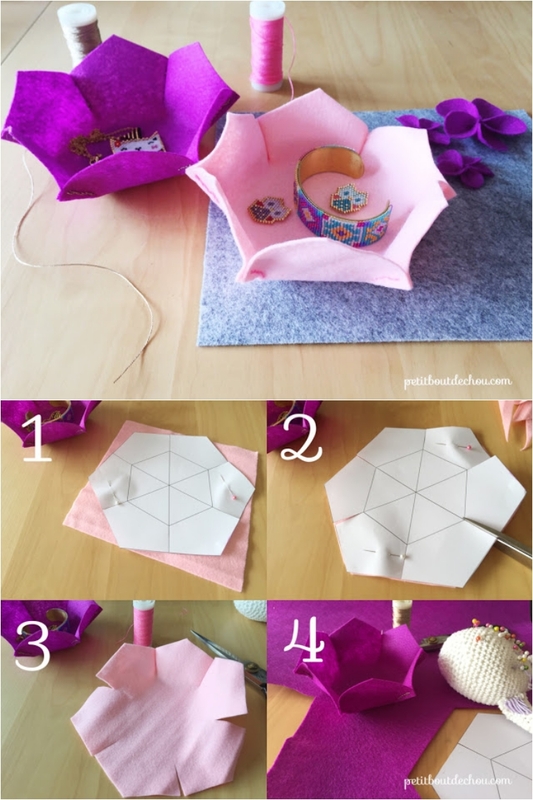 If you want to get fancy, I’d recommend these origami boxes, one of the best gifts you can make for a female friend or a girlfriend. She will definitely appreciate them. I’ll leave the decoration up to you; just be sure to use her favorite colors. The only downside of this project is that it’s best if you’re tall (you don’t want to have to duck your head in order to get your jewelry). And you can’t hang too many necklaces. But it’s a good way to keep your jewelry organized in a clean and neat way. I have a friend who organizes her jewelry this way (I do this for my silk scarves). 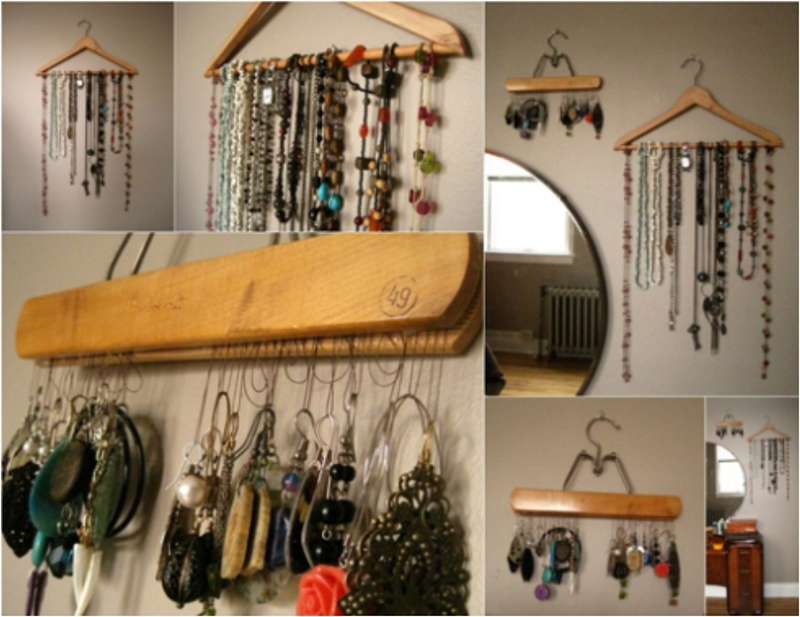 Long gone are the days when clothes hangers were used just for clothes; they are versatile and can offer so much more. Let your imagination loose and you’ll find many different ways you can use clothes hangers to organize your stuff. 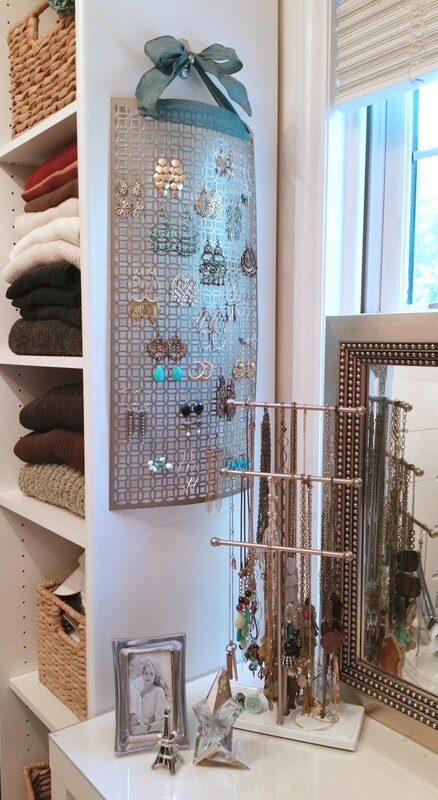 As you’ve noticed by now, most jewelry holders are hanging, as it’s the best way to fit the most jewelry on your holder and the best way to make the jewelry as visible as possible. 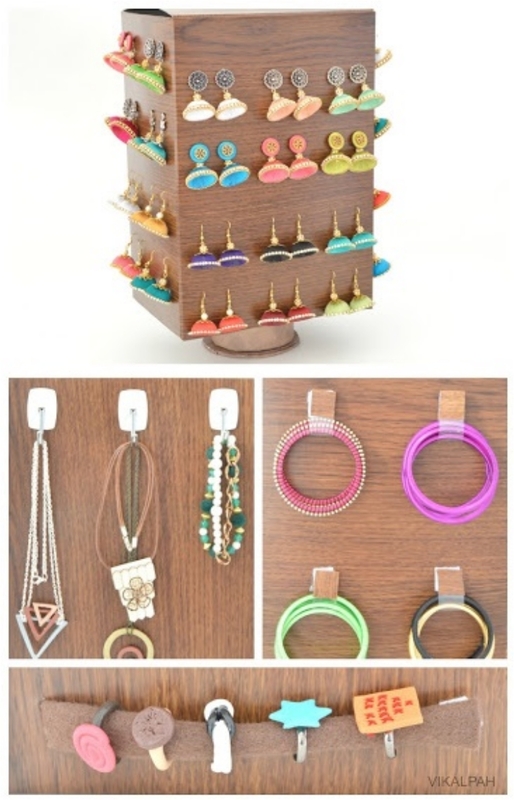 This holder is very similar to the wooden jewelry necklace holder we had earlier. The difference is you can hang everything on this one. 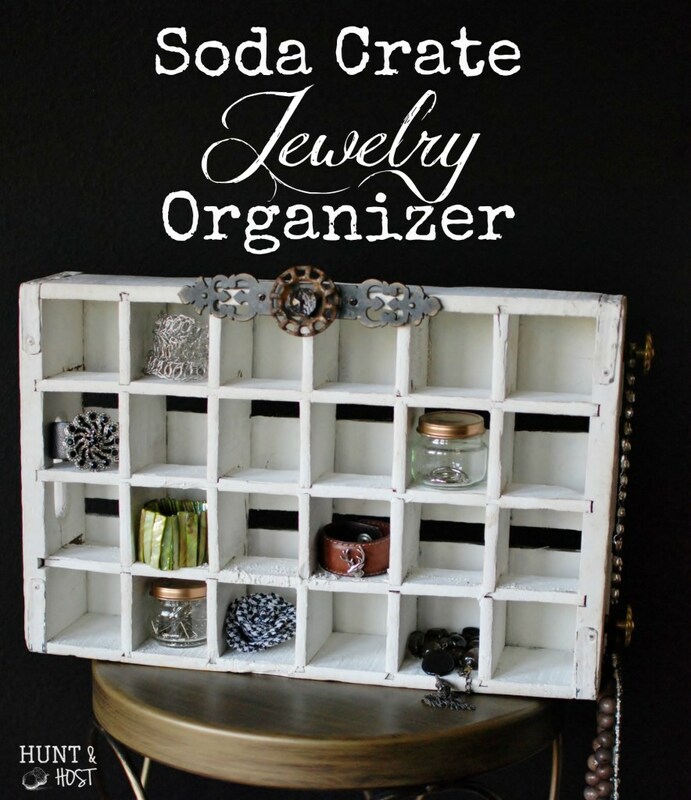 Elegant and simple, this organizer will be great for a few items. Just don’t make too many of these; one is more than enough. Find another organization method for the rest of your jewelry. 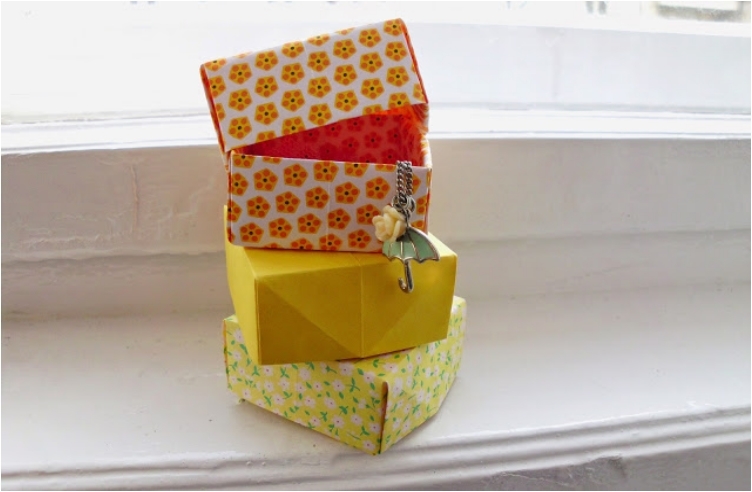 If you have lots of earrings, these boxes will be the best way to fit them all. And they’re fairly simple to make; all you need is to poke holes in them, and that’s it. Just make sure to poke them at a suitable distance apart so your earrings are organized nicely. 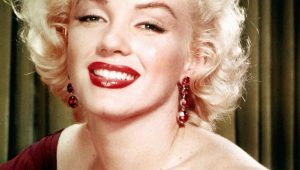 Keep count of the size and shape of your earrings while doing so. 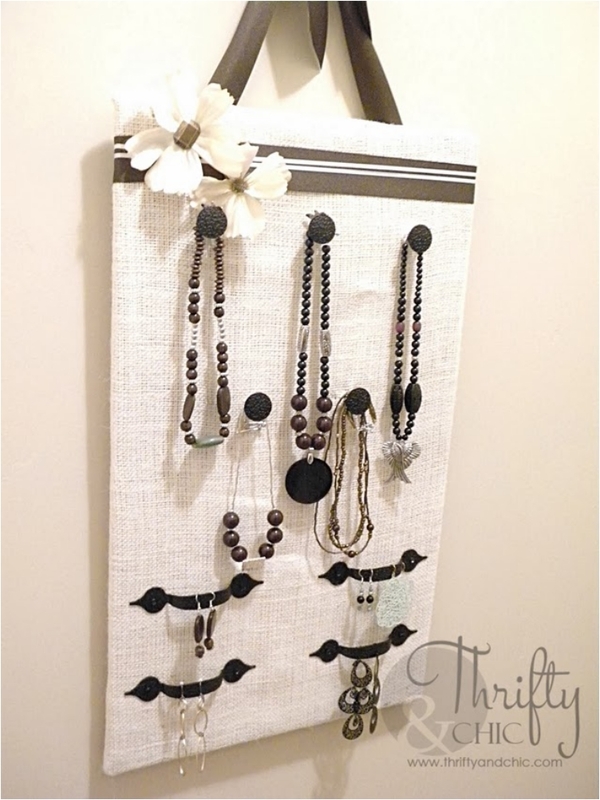 Another simple organizer, all you need is a frame, wire and burlap. The background of the organizer looks classy, and the wire lets you hang everything from watches to necklaces to bracelets. We almost forgot the rings! But truth be told, most women have more trouble organizing their necklaces and bracelets than their rings. But back to the rings—this project will not only organize your rings, it will also look classy in the process. What I said about the origami boxes applies here as well. Yes, these flower baskets are great for organizing jewelry. 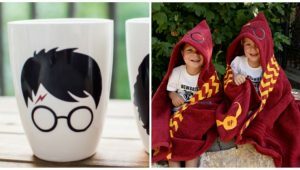 But I don’t know many people who will make these for themselves. 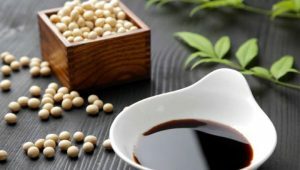 We tend to be more practical and keep to the basic and simple things for ourselves. But if you want to surprise your female friends with a gift, this one is spot on. We finish off with an organizer that looks like a piece of furniture. But it definitely fits almost all of your jewelry. 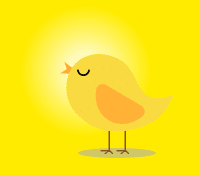 I hope you found something that you can use to reduce the clutter in your room and let you find your jewelry!